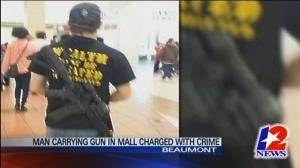 A Lumberton Texas man, Derek Poe, was walking to his Golden Triangle Tactical gun shop in Parkdale Mall in Beaumont, TX. He was legally open carrying his AR-15 rifle across his back with the barrel facing down. He had done this many times before. This incident with Lumberton Resident Derek Poe hits close to home because I am a fellow Lumberton resident and I am running for Hardin County Judge. If this incident were to have happened a few miles over into Hardin County, the misdemeanor charge would be heard by the Hardin County Judge. I am a strong supporter of the 2nd Amendment. If I become elected as the next Hardin County Judge, I, David Bellow, would ensure that laws are being followed properly while at the same time not infringing anyone's second amendment rights. According to the Beaumont Enterprise, there is an open carry gun rights rally planned for Jan 18th in Beaumont. Let me make one thing very clear. Open carrying a rifle in a non-threatening manner in Texas is LEGAL. Just the simple fact that someone sees the rifle and gets scared is NOT legal grounds to charge someone with carrying the open rifle in a threatening manner. Open carrying of rifles is legal and cannot be considered disorderly conduct unless the rifle was being carried in a threatening manner. Open carry means people can see the rifle. I do not know of any less threatening of a way to open carry a rifle other than slung behind your back with the barrel down. That is the way Derek Poe was carrying his rifle. I have written many articles about this issue. Unfortunately, many of the articles involve Texas officials taking away rifles and charging people for doing nothing more than legally open carrying a rifle. You would think that of all places, Texas would be more gun friendly. Open carrying a rifle might not be normal, but it is not illegal. The liberal media has pounded their anti-gun agenda so much that people are frightened by even the sight of a gun. The solution is not to charge the person legally carrying the gun. The solution is to educate American citizens that carrying a gun is legal. We need to educate so that they know gun control measures will only keep guns from law abiding citizens and will not stop mass murderers from going to a mall and shooting people. The only thing that will stop a mass murderer from killing people in a mall is if a law abiding citizen in the mall has a gun and shoots back to stop the mass murderer. I do not fault anyone for seeing the gun and being scared, and I do not fault the police for questioning Mr. Poe. There was no legal grounds to charge him though and he should have never had his gun confiscated. I take threats and gun violence seriously, but I also take the 2nd Amendment seriously. Mr. Poe has a Constitutional right to bear arms and there is no evidence that what he did was illegal or threatening. He should have never had his rifle confiscated and should have never been charged. Amen! People, even law enforcement, can't even interpret gun laws. They can only MISINTERPRET the law. Just like its legal to open cary in LA. But in most cases you will have charges pressed against you and your weapon confiscated for doing what is legaly OK to do in LA? Well said sir! Just to be very clear.. this is not the story he gave on FB.. His story was he was walking from his store to Game stop on the OTHER side of the mall.. This is the exact reaction he was trying to get. Walking into a crowded mall with an AR-15 strapped to your back is just stupid. I am all for open carry, and if he had been walking from his car to his store I would agree with him.. But trying to cause panic in a crowded mall.. Yes. But, Parkdale Mall is private property and Rule #20 in the mall's behavioral code of conduct states no weapons or firearms are allowed inside... Anyone wanna explain that to me? Parkdale mall is private property and it has every right to not let people in the mall with guns. That being said, a mall rule does not make it a law to be carrying an open rifle. The law says it is legal to do so. The mall should have asked him to leave and if he didn't then they could have had the police remove him and charge him with trespassing. It is not legal to charge him with carrying an open rifle because that is legal even if it is not normal and alarmed people. Hey Chris, you are right that what he did alarmed people. I do not fault anone for being alarmed and I do not fault the police for checking it out. It is not normal and I do not do it. I carry concealed. That being said, although it is alarming to see, it is not illegal to carry a rifle in the open in Texas and legally there is no basis to charge him. The mall should have just asked him to leave and if he didn't then they could have had the police remove him and charge him with trespassing. There is no law against carrying a gun in the mall though so the cannot charge him for that. Derek needs to see a Shrink. On No! 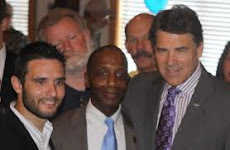 Big John Cornyn and his new sidekick Linsay have put forth a new bill: "“Graham-Cornyn Mental Health and Criminal Justice Reform Act” expands the National Instant Criminal Background Check (NICS) system to include Americans who have sought treatment for mental health issues. The bill seems to be nearly identical to an Executive Order issued last Friday by Obama.". That bill would deny Derek's right in perpetuity.